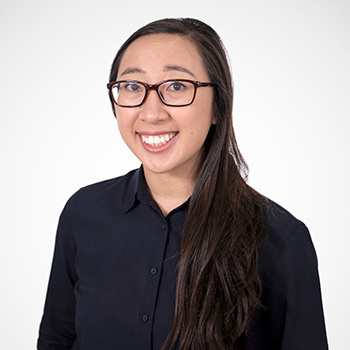 Dentist Franklin, Dr. Vivienne NguyenAfter graduating from The University of Queensland in 2016 with a Bachelor of Dental Science (honours), Vivienne has experience working in both the private and public sectors in dentistry. She is most interested in minimally invasive dentistry and the prevention of dental disease. She is also skilled in a range of dental treatments including crowns, fillings, extractions and root canals. Helping patients overcome their fear of dentists is what Vivienne finds most fulfilling about dentistry. She also likes the fact that being a dentist allows her to not only assist people in need but help them feel confident about their smile. “When I was younger, I was self-conscious about my smile as I had crooked teeth. With the help of a local dentist and orthodontist, my smile was corrected, and suddenly I didn’t run away from the camera anymore.